Analysts consider offshore wind to be one of the most important future energy sources: turbine technology is going to continue to progress for decades. Europe’s offshore wind potential, for example, is enormous and able to meet the continent’s demand seven times over, as estimated by the European Environment Agency’s (EEA). Wind energy’s contribution to Europe’s electricity supply will increase dramatically in the next couple of decades: in the order of 30-40 times by 2020 and 100 times by 2030. The average size of offshore wind farm is increasing each year and the trend towards larger projects is expected to continue in the future as companies are able to operate in deeper waters and in harsher sea conditions. As offshore wind turbines increase dramatically in size, the need for expert monitoring becomes more and more important. A large wind farm may consist of several hundred individual wind turbines distributed over a large body of water: endless arrays of turbine towers create a surreal grid in a lonely landscape. This odd and isolated site often remains hidden in the vastnest of the aquatic realm – seen only by the few, who are destined to serve the long lasting swing of the white giants. 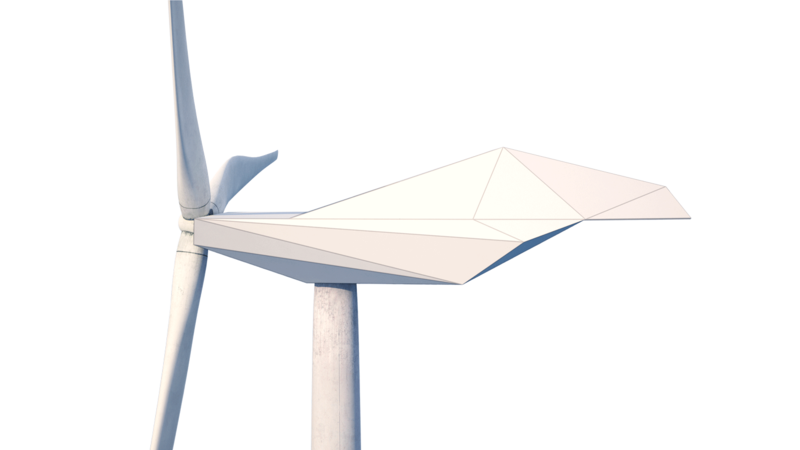 Wind Turbine Loft is a concept that proposes the installation of a residential unit within the volume of the nacelle that would provide constant shelter for a group of technicians taking care of the functional integrity of the turbine. Wind turbines need to be continually serviced to perform at their best. The inhabitants of the loft shall take care of the technical inspections, monitoring and diagnostics of the equipment, necessary to keep the turbine’s life-span as long as possible. Wind turbine loft is a solution that combines living and working environment in a single entity of an unusual atmosphere. Instead of following the traditional ideology of the Loft movement: the well-trodden path of recycling abandonned commercial spaces, considered to be obsolete by a certain industry, we embrace the idea of finding new and unexplored territories for the concept of Loft living. Wind turbine loft is a secluded retreat in the vastness of the sea where time is marked by the rotation of the blades while the horizon line remains the only static element in this ever-changing landscape. This revolutionary concept lays down a modern Atlantis that, somewhere not so far down the road, could be the next destination for gung-ho sustainable-livers everywhere. The wind turbine loft concept by bulgarian interdisciplinary design studio Morphocode proposes the installation of several residential units situated within the volumes of off-shore turbine nacelles. If you’ve been looking for somewhere to get away from it all, design firm Morphocode might have just thought up your dream home.